Attorney Thomas J. Lavin is known as one of the most recognized personal injury lawyers in the state, and has a reputation of winning large settlements and verdicts for those who endure injuries. With over 30 years of experience, Thomas J. Lavin knows the ins and outs of personal injury law. Our honest and aggressive attorneys are proud to seek justice on behalf of slip and fall victims. You can schedule a free consultation today with an award-winning lawyer from our law firm. Law Lavin 5/5 stars – based on 11 reviews, written by our clients and colleagues. Florida law can sometimes make it difficult for slip-and-fall victims to obtain the compensation they need. Obtaining the help of a skilled injury lawyer is imperative if you’ve sustained an injury in a slip-and-fall accident in Florida. If you have slipped, fallen, and suffered an injury because of a dangerous condition on another person’s property, the property owner may be legally responsible, and you may be able to obtain compensation. Slipping generally happens when there is insufficient traction between your shoe and the floor. The cause can be accumulated rainwater, oil in a parking lot, or almost any liquid that can be spilled in a supermarket aisle. When a condition becomes hazardous – at a supermarket, for example – immediately the area should be blocked off with warning signs, and the spill should be cleaned up as soon as possible. 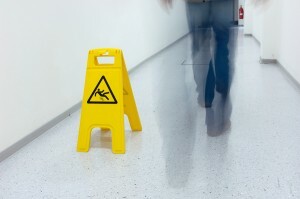 The law says that as soon as a property’s owners or managers become aware of a potential slip-and-fall hazard, they must act. In any slip and fall claim, it’s fairly easy to prove that you were injured. However, what is more challenging to prove is that your injuries were the result of the fall. Don’t be surprised if the defendant alleges that your injuries were existent at the time of the injury, and have nothing to do with your fall. For this, you have to be prepared to provide solid medical evidence that your injuries were the result of the fall. You can do this by getting a medical opinion from a doctor. Ask your doctor to provide a letter with details about how the injuries resulted from the fall. For assistance filing a slip and fall claim, talk to a Palm Beach slip and fall lawyer. Testimony from a witness to the accident this can boost your claim. In the absence of a witness, you can provide testimony from a person who was aware of the hazard that contributed to the fall. Apart from this, you can also provide surveillance footage from the scene of the accident. It’s likely that the property owner had surveillance video cameras running at the time, and footage from these can provide valuable proof of the fall, or of the existence of the hazard on the property. In a slip and fall claim, you can expect the property owner to allege that you were partly responsible for your own injuries, because you were negligent in causing your own accident. The owner, for instance, could argue that you should have looked out for a broken step, or should have heeded warning signs about it on the premises before entering the property. The doctrine of comparative negligence typically applies in such cases, and the court will consider whether you were, in fact, partially responsible for your own injuries, and to what extent you were responsible for those injuries. 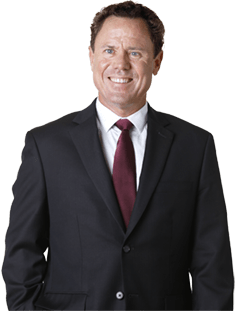 Your damages may be reduced to the extent that the court believed that you were responsible for causing your own injuries. For example, if the court finds that you were 20% responsible for your own injuries, then your damages may be reduced by 20%, and you may qualify to receive the remaining 80%. Talk to a slip and fall law firm about whether you are eligible for a claim. When you are represented in a slip-and-fall case, our team will promptly begin our own investigation. We determine exactly what caused your slip-and-fall injury, and we determine if the property owner or manager knew – or should have known – about the dangerous condition. If the owner or manager knew and failed to act, your personal injury claim will probably succeed. WHO IS MOST AT-RISK FOR TRIP AND FALL INJURIES? Two groups of individuals who are at a higher risk of slip and fall accidents are senior citizens and pregnant women. Pregnant women have a higher risk of not just suffering a fall, but also suffering serious injuries in a fall. Most minor injuries sustained during pregnancy are linked to fall accidents. However, more serious injuries may also occur. As many as 39% of all emergency room visits involving pregnant women are linked to fall accidents. There are several reasons that may cause a pregnant woman to suffer more falls than other women her age. For instance, there is a change in balance and gait when you’re pregnant that could cause you to lose your balance more often. In order to help reduce the risk of fall accidents, wear the right type of shoes. Wear comfortable, flat shoes. Shoes should be rubber-soled and should fit you well. Do not walk in a hurry. Fall accidents among senior citizens can significantly increase the risk of disability, or even death. According to research, approximately one out of every 10 senior falls results in a serious injury. Commercial property owners, like restaurants, hotels, and malls must take an increasingly mobile senior population into account when designing and fall-proofing their premises. The senior population in the US is expected to balloon over the next few years, and many seniors in their 50s, 60s and 70s will be highly mobile, and independent. For help filing a claim after a fall accident, schedule your consultation with an accident lawyer. To learn about the various types of damages you can include in your claim, talk to a trip and fall injury law firm. In any slip-and-fall accident case, it’s imperative to consult with an experienced injury lawyer as soon as possible; evidence may be lost if not gathered promptly, and Florida law restricts the amount of time you have to file a claim. The attorneys at the Law Offices of Thomas J. Lavin will assist you understand how Florida law impacts your case and help you choose the legal options that are in your longterm interests. We are committed to obtaining the maximum compensation possible for your medical expenses, lost income, pain and suffering, and other damages. We never charge you a penny until you are awarded the compensation you deserve. If you’ve been injured, or if you’re injured in the future in a slip-and-fall accident on another person’s property, protect yourself and your future; call the Law Offices of Thomas J. Lavin at 561-557-4546. Additionally, you could complete the form on our Contact Page and schedule a free consultation right away.